Nowadays there are lots of viruses out there and they could potentially infect both Macs and PCs. Dealing with a virus after it has already wormed its way into your computer is often a tedious and time-consuming process, and by that point, your personal information and data could already be exposed. That is why when it comes to virus infections, prevention is better than cure. The good news is that if you take the right steps it is actually possible to prevent the majority of virus infections – and all you need to do is know how. Most modern antivirus and malware scanners have components that will not only automatically scan your computer regularly, but also scan incoming files to ensure they aren’t protected. In most cases that should be enough to catch viruses before they get the chance to cause any damage. In order for your antivirus or malware software to be effective, however, it needs to be updated regularly. If possible, set it to update automatically some time right before your scheduled scan so that when the scan does take place it will be equipped with the latest virus definitions and be able to catch any new threats. Keeping your operating system updated with the latest security patches and fixes. Every update tends to fix potential vulnerabilities, so you need to download and install the latest patch to keep it secure. Securing your home Wi-Fi network with a password and encryption. It is recommended that you use WPA or WPA2 if possible. Being careful when using open Wi-Fi hotspots that are found in public places. Generally, these networks tend to be unsecured and could be abused if you aren’t careful. 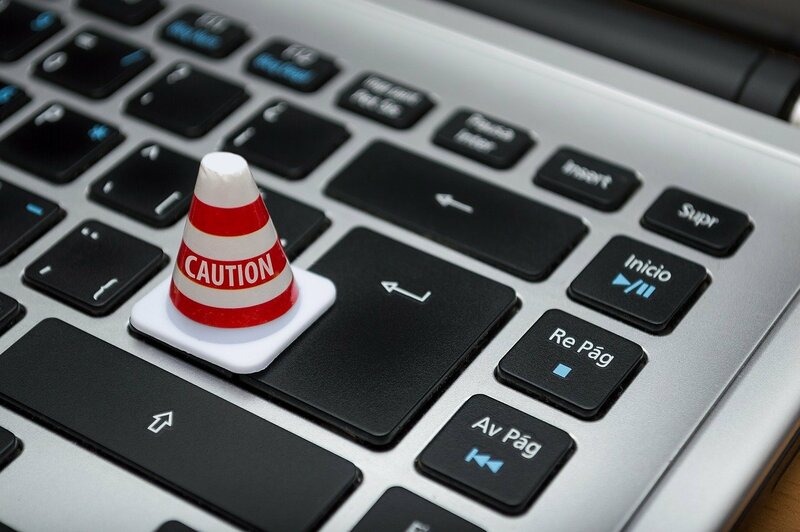 It may surprise you to know, but a sizable number of virus infections can be avoided by simply being a little bit more careful when on the internet. In particular, you should be careful when you click on any links – especially in emails or on unfamiliar websites. Some links could lead to malicious phishing websites that could infect your computer with a virus. Wherever possible try to verify the link you’re clicking on is ‘as advertised’, but that may not always be an option. If so, make sure that you don’t divulge any personal information or download any files from the website until you’re able to verify its authenticity. As a further step, you should try to use a diverse range of secure passwords. While this won’t directly prevent a virus infection, it can help to minimize the potential damage. After all, if all your passwords are the same or use personal information that can be gleaned easily, that just puts you at greater risk. By following these steps you should be able to reduce the risk of being infected tremendously. It may help if you use a software such as Movavi Mac Cleaner that contains both an antivirus and firewall to help shield your computer. Additionally, because it will help you to detect junk files and remove them, your hard drive should be a lot less cluttered too. It is also able to optimize your Mac in numerous other ways. All in all, by preventing viruses and cleaning the ‘junk’ from your Mac, it can help to keep it running smoothly.